Suppose a soccer club is looking for a great striker, someone who is capable of scoring goals. Not just a few, but lots of them. Where should this club search for such a guy? There’s only one answer to this question: South America. For this story I’ve done some research on top strikers who are crowned top scorer in a foreign country. - - The player has to be top scorer in one of the 25 strongest national leagues in the world in 2013 (ranking by IFFHS, 29-01-2014). From Europe: Spain, England, Germany, Italy, France, Russia, Romania, Switzerland, Turkey, Ukraine, Belgium, Czech Republic, Portugal, Netherlands, Greece and Scotland (16). From South America: Brazil, Argentina, Colombia, Paraguay, Chile and Ecuador (6). From Asia: South Korea and Saudi Arabia (2). From North & Central America: Mexico (1). - - Every top scorer title is worth one point. A shared title with one or more other players still gets one point. A title won in only in a first or second stage of a season (mainly Apertura- and Clausura-titles) gets 0.5 points. Seydou Doumbia (3), twice top scorer in Switzerland, one time in Russia. With only a short history of their own, Croatia already takes tenth position in my ranking. Not bad in less than 25 years, while other countries had fifty years of opportunity. 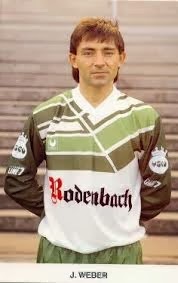 Best man among the Croatians is Josip Weber, who was crowned Belgian topscorer three times in the early nineties playing for a rather small club, Cercle Bruges. Weber later became a Belgian citizen and even played at the World Cup 1994 for his adopted country. 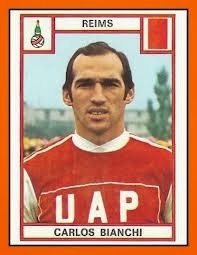 Six other players won one title each, three of them (Mario Stanic, Robert Spehar and Branko Strupar) also in Belgium. Mladen Petric was the best in Switzerland, Andrej Keric in the Czech Republic and Alen Boksic in France. Yugoslavia has mainly Josip Skoblar to thank for its position in my Top 10. After playing for OFK Belgrade he was allowed to play abroad in 1967, 26 years old. First stop was Hannover 96 in Germany, three years later he moved to the south of France, to play for Olympique Marseille. It was love at first sight. Skoblar won the top scorer title three years in a row, scoring 44 (1970-71), 30 (1971-72) and 26 goals (1972-73). The other Yugoslav player with more than one title is Vahid Halihodzic, who was successful with French club Nantes in 1982-83 and 1984-85. Barre in mind, at that time Skoblar was from Yugoslavia, although people nowadays might see him being Croatian. German players are not known for their appetite for adventure, so it’s a bit of a surprise that they landed in eight position in this ranking. They voluntarily like to stay in their own country, one of the best countries to play soccer anyway. Most of the German top scorer titles are won in their neighboring countries Switzerland (4) and Belgium (4). In that way, Oliver Bierhoff winning in Italy 1997-98 (27 goals for small club Udinese) is probably the best achievement. But Erwin Kostedde is the only one with two titles. Kostedde is the son of a German mother and a black American father, who came to Germany in 1945 as a soldier (Erwin was born May 21, 1946). After playing for MSV Duisburg, Belgian club Standard Liège won him over with a giant paycheck. He delivered what they wanted: 49 goals in three years, and the top scorer title in 1970-71 (26 goals). Then he returned home to Kickers Offenbach (four seasons), Hertha BSC (one) and Borussia Dortmund (two). In 1979, 33 years old, he tries another adventure abroad: Laval, a French club with limited possibilities. 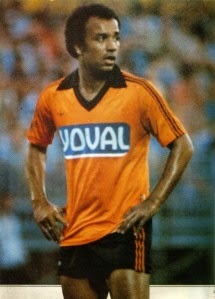 In the orange and black of his new club Kostedde won his second top scorer title, scoring just as many (21) as Argentine striker Delio Onnis did. Another surprise: France got into number 7! In a short period as well, as they had zero top scorer titles until the early eighties, when Michel Platini went to play for Juventus in Italy. He was capocannonieri three times in a row, ’83, ’84 and ’85. Some fifteen years later, Thierry Henry did even better. Not at Juventus though, where he had one disappointing season before being transferred to Arsenal in London. In eight seasons with The Gunners Henry won the top scorer title four times. Other French winners are Djibril Cissé (two with Panathinaikos), Nicolas Anelka, David Trezeguet and unknown Jeremy Perbet in Belgium. Of course, David Trezeguet can also be seen as Argentinian. But he was born in France and rose to stardom in France – although he played his very first games for Platense in Argentina. So I’ve put him here with the French. The first South American country in this Top 10, but certainly not the last. Paraguay seems to profit from my criteria. They do have 12,5 points, but most of their titles they collected they did so in less powerful leagues, like Colombia, Chile and Ecuador. So the best performances might be those of Oscar Cardozo of Benfica, who was top scorer twice (2009-10 and 2011-12) and Cayetano Ré, who was with Barcelona and won the Spanish top scorer award in 1964-65 (26 goals). But in numbers it’s Eladio Zarate. The Paraguyan striker was already in Argentina (Huracan, San Lorenzo) before he rose to the occasion in Chile. 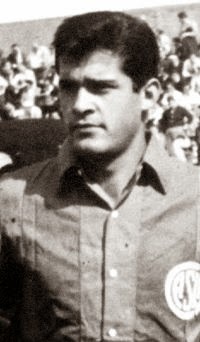 First he was Chileans top scorer twice with Union Espanola (1967 with 28 goals, 1969 with 25 goals), then once more with Universidad de Chile in 1971 (25 goals). The other top scorer names from Paraguay are far less known, although Apolonia Paniagua and certainly Salvador Cabanas must ring a bell. Sweden has a great tradition of remarkable goal scorers. Although the achievements of Gunnar Nordahl (five times in Italy during the fifties) and Gunnar Andersson (twice in France, 1952 and 1953) are both too old to be taken into consideration, the Swedes still end up at number 5. Their thirteen points are collected by only five different players. While Ove Grahn (in Switzerland) and Mats Magnusson (in Portugal) managed only one, Zlatan Ibrahimovic already had three – and counting. Two in Italy and one, last season, in France. The same applies for Ove Kindvall, who won the award three times in the Dutch eredivisie with Feyenoord. The same club Henrik Larsson started his career abroad, without scoring lots of goals (only 24 league goals in four seasons). He easily made up for that in Scotland, where Celtic were very pleased and probably surprised that Larsson banged in goal after goal. He was Scottish top scorer five times, in 1999 and from 2001 until 2004. One of Europe’s easiest leagues to score goals is probably the national league of the Netherlands. With the emphasis on attack, defensive skills are mostly underrated and underdeveloped. Still, Dutch forwards also managed to score goals against tougher opposition. Four different players have collected two top scorer titles abroad in the last fifty years. Marco van Basten did it in Italy with AC Milan, Jimmy Floyd Hasselbaink with Leeds United and Chelsea in England as did Robin van Persie with Arsenal and Manchester United. The only Dutch player who succeeded in winning this trophy in two different countries (not counting the Netherlands, where he also won it twice) is Ruud van Nistelrooy. 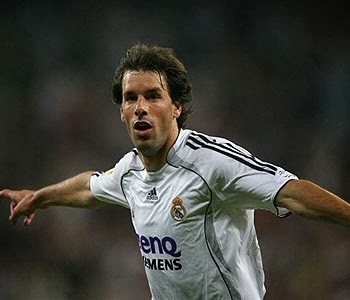 First, Van Nistelrooy wins it with Manchester United in 2002-03 (25 goals), then he moves to Real Madrid in 2006, immediately clinching the Pichichi with 25 goals. Now it’s time for the big guns: Uruguay. Luis Suarez-big, or Edison Cavani-big. Still, those two only managed one title so far, just like most of the rest of the Uruguayan bunch. And most of them, it is true, won their title on their own continent. But still, it certainly is not easy to win the top scorer title in Argentina (6,5 points) or Brazil (1 point). The best performing Uruguayan strikers are Diego Forlan (twice in Spain), and the somewhat unknown Ricardo Nunez (twice in Switzerland), Juan Carlos de Lima (twice in Ecuador) and Hector Nunez (twice in Paraguay). Much-travelled Sebastian Abreu (four times an Apertura or a Clausura in Mexico) is best known for his appearances with the Uruguayan national team, for which he played 70 times, scoring 26 goals. 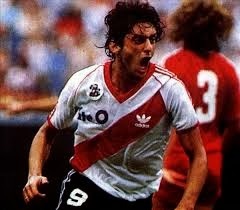 Best player of all these Uruguayans is, without a doubt, Enzo Francescoli. A skillful playmaker who could also score goals. His best years were with Argentina’s River Plate in his early twenties, where he was top scorer three times (two of those were only worth 0.5 points). 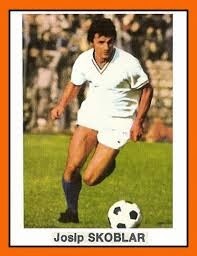 Francescoli also played for Racing Paris and Olympique Marseille in France, and Cagliari and AC Torino in Italy. Brazil are not on number one, as many would imagine. Still, Brazil has some amazing records to show. For example, winning the top scorer title in 19 of the possible 24 countries (Brazil itself is number 25) is incredible. And so is having more than fifty different players to be crowned top scorer all over the world. Among all those brilliant players, I’ll mention the ones that collected three or more titles. Like Ronaldo (two times in Spain, once in the Netherlands), Romario (three in the Netherlands, one in Spain) or Sonny Anderson (three times in France, one time in Switzerland). Even with five times in Portugal Mario Jardel can’t claim having his picture in this article. 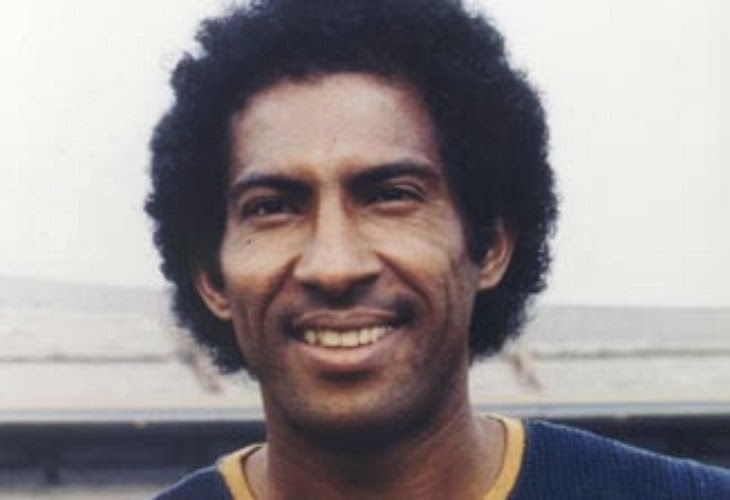 That privilege goes to Evanivaldo Cabinho Castro, who was top scorer of the Mexican league eight (!) times in the late seventies, early eighties. Which is, by far, the best individual accomplishment of all strikers in this story. Clubs in desperate need of a goal getter should definitely search for soccer players from Argentina. That approach gets them the best chance of succeeding. No less then seventy-three different soccer players have earned top scorer titles in fourteen different countries. Of course, quite a few were earned in other South American countries like Colombia (22 points), Ecuador (18,5 points) and Chile (11,5 points). But Argentinians are also the leading foreign force in France. The list of those that won a top scorer title three times starts off with José Maria Ferrero and Hugo Londero (both three times in Colombia), Angel Liciardi and Ariel Graziani (who adopted Ecuadorian citizenship halfway his career) in Ecuador and Oscar Fabbiani in Ecuador. In Europa the same amount was collected by Christian Gimenez in Switzerland and by the great Lionel Messi with Barcelona. On top we have two strikers that ruled France from the early seventies until halfway through the eighties. Carlos Bianchi and Delio Onnis both won the French top scorer title five times. 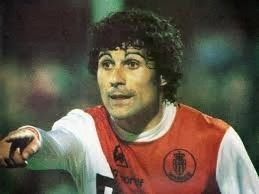 Onnis scored an average of 25 goals in those five times, Bianchi was even more prolific: he earned his five titles by scoring 156 goals.